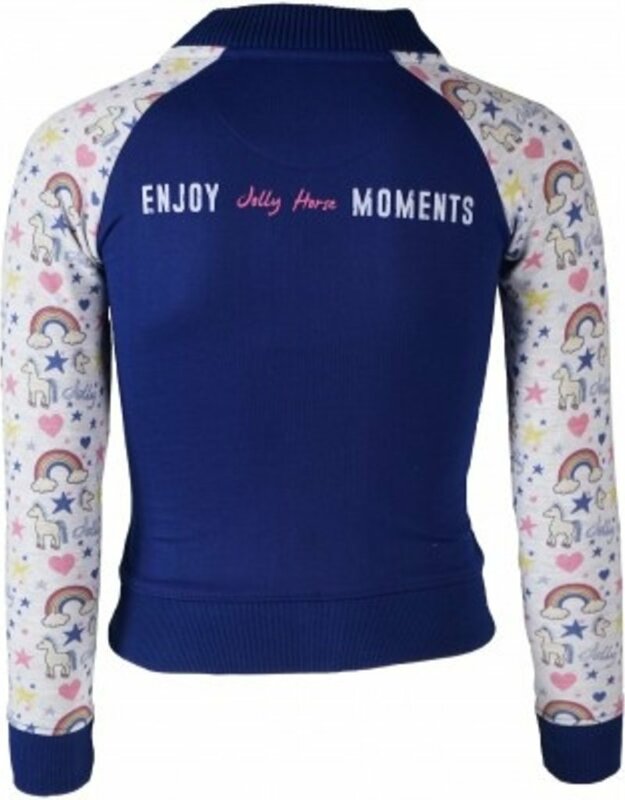 Children's vest Dana is a perfect match with our breeches Evi. 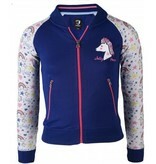 This jacket with long sleeves has the same unicorn melange fabric on the sleeves and has two easy front pockets. 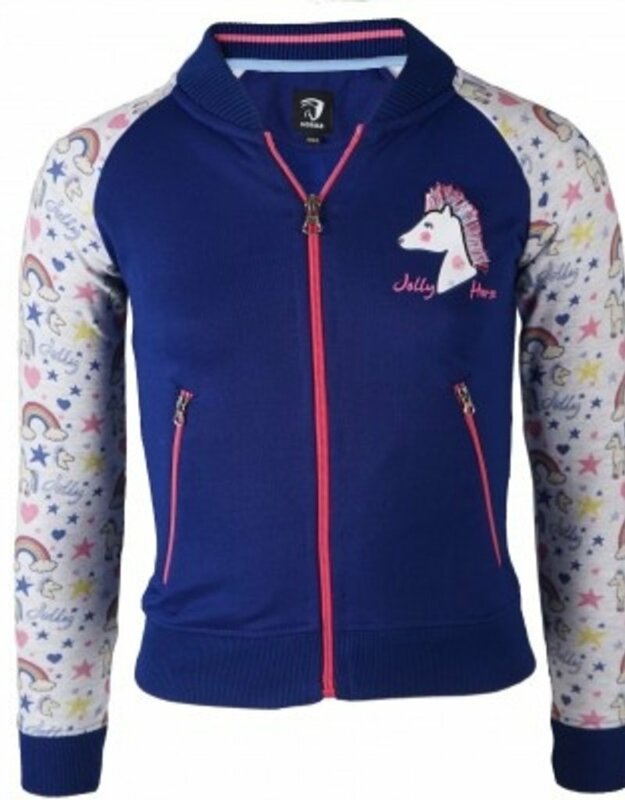 On the chest and back are cute Jolly Unicorn images.